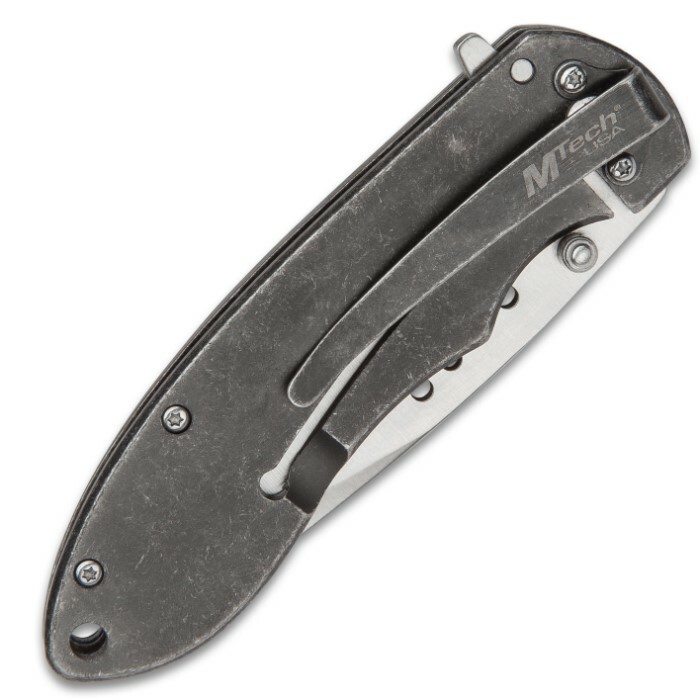 MTech CSA Flag Assisted Opening Pocket Knife - 3Cr13 Stainless Steel Blade, Embossed Stainless Steel Handle, Pocket Clip - Length 8” | BUDK.com - Knives & Swords At The Lowest Prices! 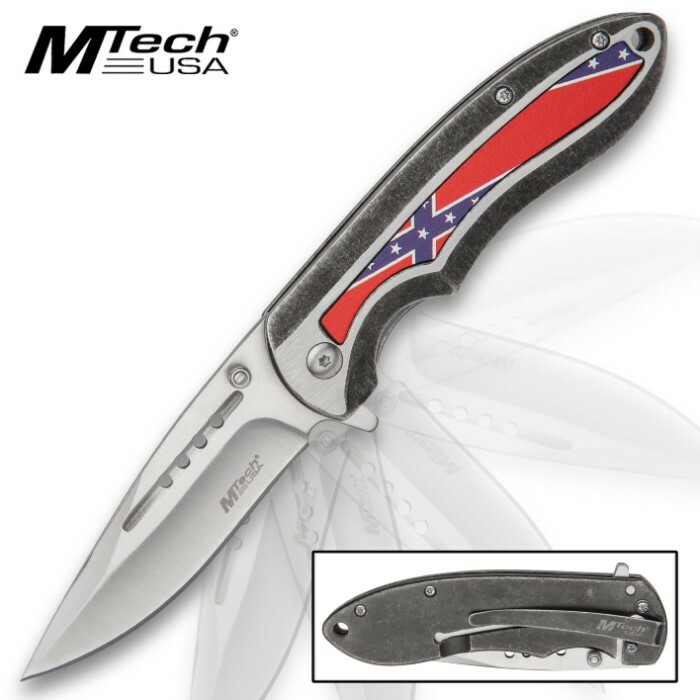 A touch of Southern Pride can be found in the MTech CSA Flag Assisted Opening Pocket Knife. It’s one for our red-blooded Southern Boys out there! 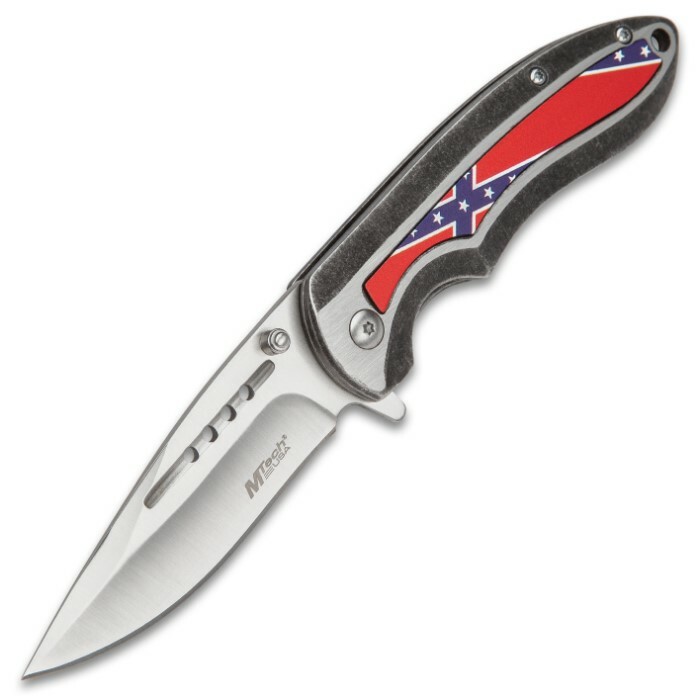 This pocket knife has a 3 1/2" 3Cr13 stainless steel blade with thru-holes and it can be deployed with an assisted opening mechanism, using the flipper or a thumbstud. The stonewashed stainless steel handle is embossed printed with the CSA Flag and it features a solid, stainless steel pocket clip and a lanyard hole.